Wall panels are sections of wood framed exterior and interior walls manufactured in a factory based on the design information provided in the construction documents for the building. 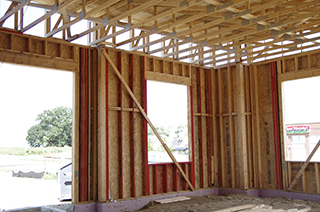 Wall panels reduce the complexity of a framing project by minimizing variables. Material quality and construction tolerances are more closely controlled, assuring better consistency between panels. 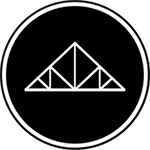 Nail patterns used to attach the studs to the plates and the sheathing to the studs and plates is more accurate and consistent than what is typically attained in the field. Sheathing and building wrap can be applied by the wall panel manufacturer in the factory, saving time in the field. A wall panel placement diagram greatly simplifies the wall panel installation process by clearly identifying each panel and its intended location. 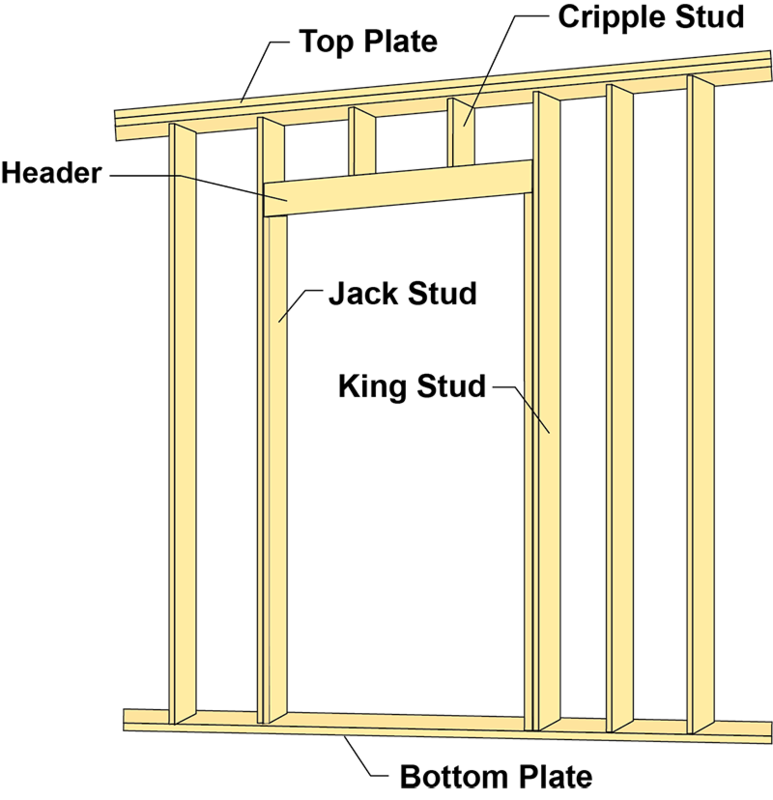 Jack Stud: A vertical structural element that does not span the full height of the wall and supports vertical load. 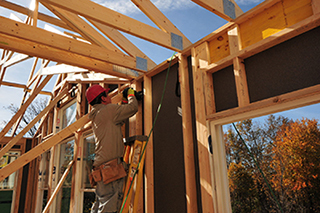 Commonly referred to as "shoulder studs" as they are the shorter studs on either side of an opening that support each end of the header. King Stud: Full-height studs on each side of an opening that are installed directly next to the jack studs for the purpose of resisting the lateral loads. Learn about different industry terms and definitions. 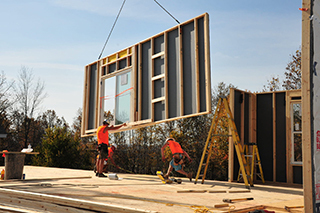 Watch a short time lapse video from the 2017 BCMC wall panel build.